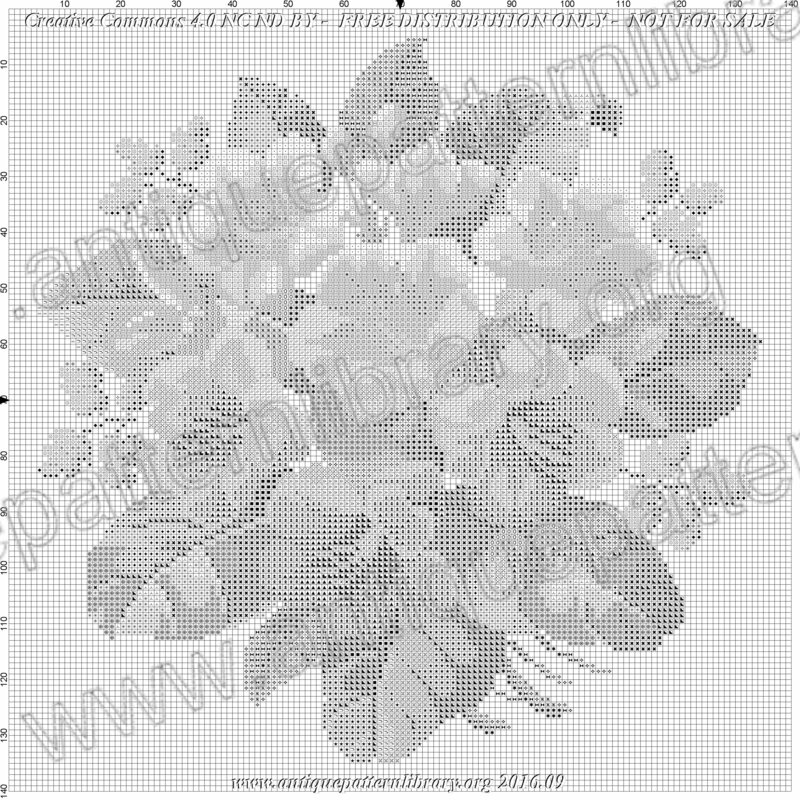 Multicolor charted pattern of a floral bouquet, darkening in color from white (top) to deep purple (bottom). Approximately 130 stitches square and quite lovely. Hand painted original plus modern recharting and DMC color key. Suitable for Berlin woolwork, needlepoint, cross-stitch or beading.